Famous for the beautiful corals, white sand beaches and clear tropical waters, Similan Island snorkeling is definitely something do while in Thailand. Today Mu Koh Similan National Marine Park and all its reefs have recovered from earlier disturbances. Boats entering the Similan Islands National Park have to follow strict rules imposed and controlled by the national park officials, have to use the moorings prepared by the national park and use closed waste water systems to avoid any pollution. 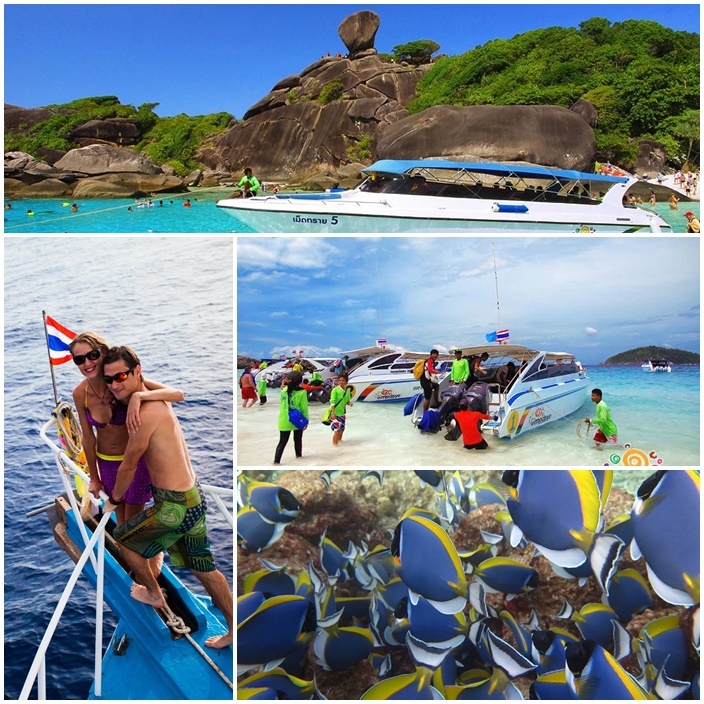 For snorkeling, there are several options if you wish to Snorkel the Similan Islands. All boats depart form Taplamu pier If you go on a guided tour, you will be taken to 2 or three snorkeling sites with lunch taking place at one of the picnic areas - Donald Duck Bay, Honeymoon Bay or Princess Bay. These areas are also great for the beginner, or timid snorkeler. We also find this to be the best place for small children. If you go by daytrip, most likely you will have a guide with you to help point out interesting fish or corals. You will also be at places that might not have a beach, so consider that when with children or inexperienced snorkelers!